Remember those dragonball shiny card you collected from a card machine? It has been around for 30 years and on it 30th anniversary, Bandai will be releasing a mini version that can fit your card bring you back the time you turn a card out! This version is about 180mm height with width of 110mm and the depth of 110mm. 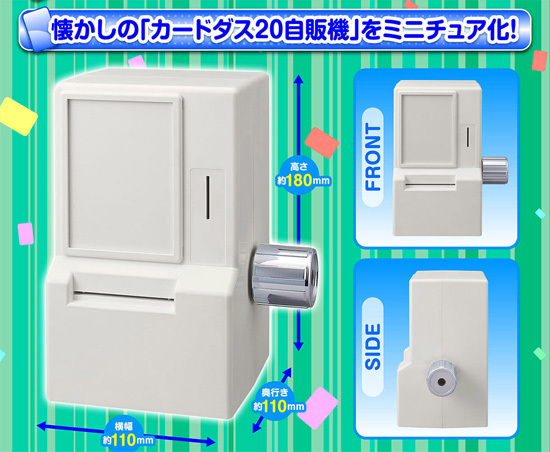 The machine from Japan will accept 10 YEN size coin x 2. 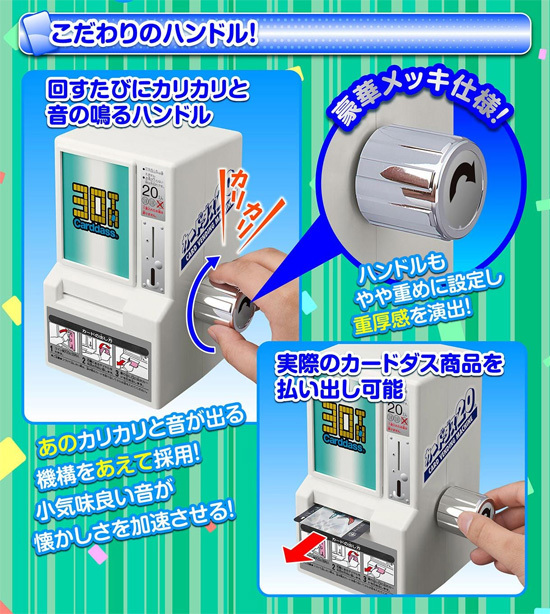 Do note you have to get your own 10 Yen coins. After you insert the 2 coins, turn it and a card will be out. 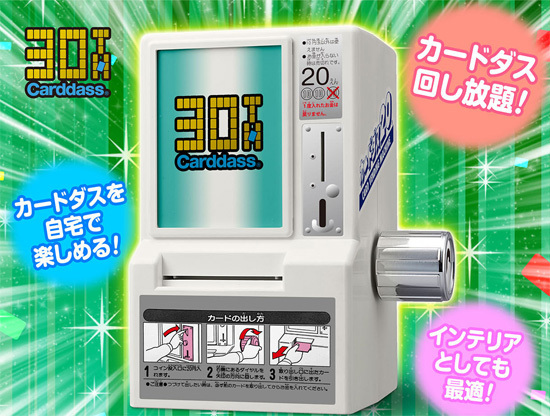 For reloading of card, you do it yourself at the back to stack 10 cards. There will be 10 test card (blank card) included. You may want to insert your own card from your collection tho. 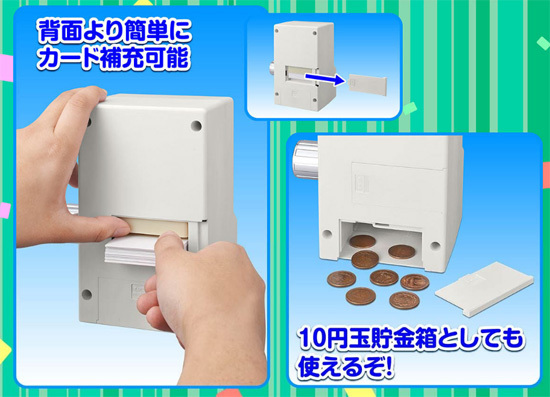 The coins stored at the back can be remove and reused again. At the same link you can also order some of the 30th anniversary cards between Gundam or Dragonball card. Currently this is up for pre-order at Premium Bandai Online Shop from now till 25th of June 2018 for 6,480 YEN.